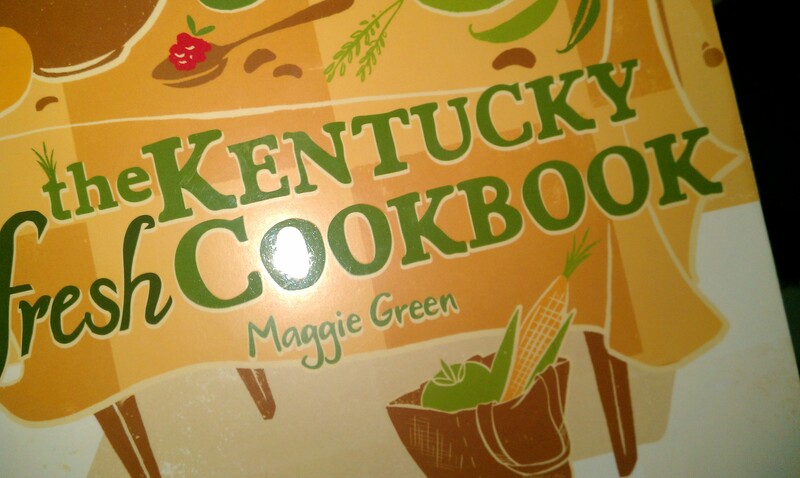 Maggie Green’s The Kentucky Fresh Cookbook is the only cookbook that has ever migrated from my kitchen into my bedroom. There’s just too much interesting material to keep this book near the stove. The Kentucky Fresh Cookbook is filled to the margins with everything you need to know about food and cooking in Kentucky. Green, a dietitian and culinary specialist originally from Lexington, expresses an appreciation and love of Kentucky’s culinary side throughout the 368 pages of The Kentucky Fresh Cookbook. Green’s plainspoken writing, from the anecdotes accompanying many of the more-than-200 recipes to the step-by-step instructions for each dish, is injected with a contagious passion for food that makes her first book an engaging work. Her easy-to-follow style will appeal to all levels of cooking expertise. Green’s emphasis on buying local food and seasonal produce is one of my favorite components of The Kentucky Fresh Cookbook. Green is very commonsense about the importance and ease of eating locally at a time when the message can get lost in pretension. The most effective way Green teaches about seasonal, local cooking is by separating her recipes by the month in which the main ingredients are in season. For example, a recipe for oven-baked pumpkin butter is in the October chapter, while a recipe for rhubarb crisp with granola topping is in the May chapter. The book also provides an index of Kentucky farms and food producers and charts showing the availability of seasonal produce. These components can help any Kentuckian incorporate more local food into their recipes. And the recipes, by the way, are good. Very good. Green covers every meal of the day, along with providing menu ideas for bigger gatherings, such as the Kentucky Derby or Oktoberfest. I have waited to review The Kentucky Fresh Cookbook for a couple of months until I could actually make some of the dishes. Sometimes, I felt like Green wrote this cookbook just for me. Most of her recipes include basic pantry items that I usually have on hand. So far, nothing out of the cookbook has been difficult to prepare. The dishes aren’t super fancy or intimidating, and that’s how I like them. All of the creations seem to be destined for a family dinner, a holiday party, or a backyard barbecue, food that is to be enjoyed with the people you love. My favorite dish so far is the Crunchy Pecan Granola. I’ve made it twice, and there’s a request for round three. 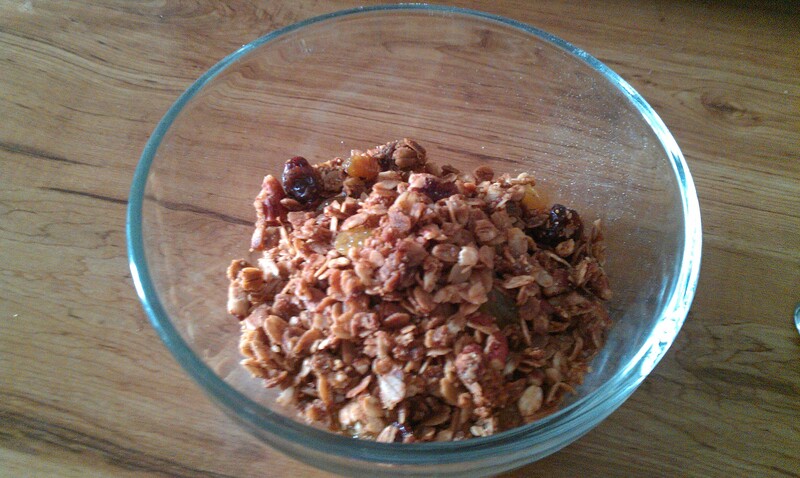 Each batch makes seven to eight cups, so granola used sparingly and kept in an airtight container has lasted about a month in my two-person household. Preheat the oven to 300°F. Spray a rimmed baking sheet with nonstick cooking spray. In a large bowl, combine the oats, pecans, cinnamon and salt. Toss the mixture with the oil, sorghum and maple syrup. Spread the mixture on the prepared baking sheet and bake for 30 minutes, stirring every 10 minutes. Remove from the oven and stir in the optional dried fruit and coconut. « Which local spot will have ice cream, pie and a wide range of liquor?